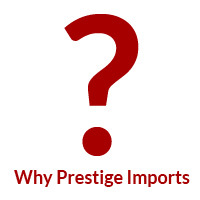 Except to the extent set forth in the specific rules for a particular contest, these general contest rules will apply to all contests conducted by Prestige Imports, Inc. (the “Dealership”). To the extent that the specific rules for a particular contest differ from these general contest rules, the specific rules for that particular contest will govern and control the conduct of such contest. A copy of these general contest rules, along with any specific contest rules if/when applicable, are available (i) during regular business hours at the Dealership’s location at 9201 W. Colfax Ave., Lakewood, CO 80215, and (ii) on the Dealership’s website at PrestigeImports.net (the “Dealership Website”). For directions to the Dealership, or for questions and additional information about Dealership contests or prizes, call (303) 238-8101, and ask to speak with someone in Marketing. Individuals who are both 18 years of age or older and legal Colorado residents on the entry date may enter Dealership contests (“Entrant(s)”). NO PURCHASE OR PAYMENT OF ANY KIND IS NECESSARY TO ENTER OR TO WIN. A PURCHASE OR PAYMENT WILL NOT INCREASE YOUR CHANCE OF WINNING. For particular Contests governed by these general contest rules (“Contest(s)”), the Dealership will provide the following Contest-specific information as applicable: (i) when to enter the Contest and/or the deadline for entering the Contest (the “Entry Period”); (ii) how to enter the Contest, which may include but will not be limited to one or more of the entry methods described in Sections 5 – 8 below; (iii) the time(s), date(s), location(s) (if applicable), and method(s) for selecting or otherwise determining any qualifier(s), semi-finalist(s), finalist(s) (collectively hereinafter “Qualifier(s)”), winner(s) and/or grand prize winner(s), as applicable; and (iv) a description and approximate value of the prize(s) to be awarded (“Contest Terms”). Dealership will provide such Contest Terms by means of on air announcement(s), website/blog post(s), text message(s), instant message(s), social media network post(s), and on-site/point-of-purchase poster(s), display(s), material(s) and/or handout(s). Any reference to information being “announced” or “as announced” shall mean that Dealership has or will provide such information by any one or more of the foregoing means, as determined by Dealership with respect to each Contest. Dealership is not responsible for the failure of any third party sponsor/location to make Contest Terms available. Entry via Online Entry on Website, Webpage, or Facebook: To enter, visit the Dealership Website (or an alternative website for a particular Contest hereinafter referred to as a “MicroSite”), or the Dealership’s Facebook Fan Page as instructed by Dealership, follow the links and instructions to enter the Contest, and complete and submit the online entry form during the Entry Period as announced. The online entry form may require for the Entrant provide certain required contact information, and any one or more of the following additional requirements: (i) answering survey questions; (ii) correctly answering trivia questions; (iii) making predictions or guesses with respect to certain upcoming events; and/or (iv) submitting Entrant-generated Content (for essay requirements, see Section 6(F)(i) below; for photo requirements, see Section 6(F)(ii) below; and for video requirements, see Section 6(F)(iii) below). Entrants may be provided with an opportunity to opt-in for membership/participation as part of the entry process or, in the alternative, may be required to become a member/participate in clubs of (for example, email clubs, text clubs, and rewards programs) or to receive solicitations from Dealership and/or its Sponsors. Some online Contests may allow Entrants to obtain “extra” entries if they “share” their entry with a friend and that friend validly enters that Contest using the link provided by the Entrant, provided that (i) the total number of “extra” entries can be capped at a maximum number of “extra” entries, as announced by Dealership, and (ii) if that friend previously entered that Contest through a link from another Entrant, his/her attempt to enter the Contest through subsequent shared links may not constitute a “valid” entry (in which case, subsequent Entrants will not get “extra” entries for that particular friend). From time to time, entry into a Dealership contest may be permitted or required through an App, alone or in addition to other modes of entry. All such apps will be free to download. Entry may require entrants to download the app as the only way in which to enter a particular contest. Apps may require that entrants create a specific account. Entry via an app shall otherwise be treated identically to entry via a Dealership website and/or a Dealership Club as described above. Entry via Twitter: To enter, log in to your existing account, or to sign up for a free account, with the social media network site Twitter, post a Tweet that includes both (1) the unique hashtag for the Contest as designated and announced by the Dealership and (2) the Dealership’s Twitter handle. Tweets that include any hashtag other than the designated hashtag, Tweets that include a Twitter handle other than the Dealership’s verified Twitter handle, and/or Tweets that do not include the designated hashtag for the Contest and/or the Dealership’s verified Twitter handle will not be accepted for Contest entry. Entry via Instagram: To enter, log in to your existing account, or to sign up for a free account, with the social media network site Instagram, post an eligible photo as instructed by Dealership on Instagram, subject to compliance with the photo requirements in Section 6(F)(ii) below, and include both (1) the unique hashtag for the Contest as designated and announced by the Dealership and (2) the Dealership’s Instagram handle. Posts that include any hashtag other than the designated hashtag, posts that include an Instagram handle other than the Dealership’s official Instagram handle, and/or posts that do not include the designated hashtag for the Contest and/or the Dealership’s official Instagram handle will not be accepted for entry. The entry process may require Entrants to login to, or to create a free account with a third party game administrator (“Game Administrator”) by going to the Dealership Website, clicking on the Contest entry link, and completing and submitting the online registration form with all required information. While agreement to the Game Administrator Policies may be required in order to enter a Contest, the Game Administrator Policies are not a part of these Contest rules but are a separate agreement between the Entrant and the Game Administrator. In the event of any conflict between the Game Administrator Policies and Contest rules, Dealership Contest rules will govern. The entry process may require Entrants to login to, or to create a free account with a third party social media network, including without limitation Facebook, Twitter, or Instagram (“Social Media Network(s)”). Such Social Media Network site operators are not sponsors, endorsers, and/or administrators of Contests, and are not affiliated with the Dealership or its Contests in any way. Dealership cannot control certain factors relating to such Social Media Networks, including, without limitation, errors, cancellation of user accounts, and/or any technical malfunctions that may affect any Entrant’s ability to enter, win, view, be advised of, be eligible for or be properly considered in a particular Contest. By entering a Contest by means of a Social Media Network, you are authorizing Dealership to access, utilize and/or pre-load to an entry form, applicable portions of your Social Media Network profile information. Entry information provided in Contests through social networking sites is being provided to Dealership, not the associated Social Media Network site operator. Dealership reserves the right, at any time and for any reason or for no reason, to disassociate any person from its Social Media Network page/following by any means then technically available to it (for example, “blocking” a Fan from liking the Dealership’s Facebook page). Dealership may elect, but will not be obligated, to post certain information not available to the general or listening public about ongoing Contests on its website, Club member pages, or Social Media pages, and/or to communicate such information via email, SMS text message, or social media posting to a limited group of people (e.g., Facebook fans, Twitter followers, or members of Dealership’s email, internet or texting clubs). Such information may include, without limitation, dates and time ranges when a Contest song or sounder may be played, lists of correct or incorrect answers received, and/or Contest reminders. In such events, no purchase will be required to obtain such information but Dealership may require that persons eligible to receive such extra information be members of certain Dealership Clubs or third party Social Network Sites. Dealership will not be obligated to announce that it is or how it is making such additional information available, unless required by law. While such additional information may increase the chances that a recipient will know when to listen or what the correct or incorrect answers may be (which information may not be available to non-recipients), there will be no advantage in the mode of entry by obtaining (or not obtaining) this additional information. Dealership reserves the right, but not the obligation, to post some or all entry information and/or materials on the Dealership’s website or social networking sites, in whole or in an edited form in Dealership’s discretion, as a “featured” entry. Having your entry posted and/or “featured” does NOT mean that the Entrant has won or is likely to win in that Contest. The decision to post or “feature” any such entries is for entertainment purposes only, and is not part of the winner selection process. Dealership cannot guarantee that it will be able to view all entries and/or required entry submissions (essays, photos, videos, etc. … ) submitted from a technical perspective, even if sent in the appropriate formats required. In the event that Dealership is not able to view any entry or entry materials submitted for any technical reason whatsoever, that entry may be disqualified (without notice to the Entrant) and Dealership will have no liability or obligation to such Entrant with respect to the disqualified entry. In the event of a dispute regarding the identity of an Online, Social Media, or Text Contest Entrant, the Entrant will the one (1) individual who can demonstrate control over the means by which the Entry was submitted to the Dealership (i) by logging into an applicable Facebook, Twitter, and/or Instagram account with the correct user name and password; or (ii) by evidencing ownership of the phone and/or phone number from which a text entry was sent. For any Contest specifically requiring for Entrants to submit an essay as part of the entry process, essay should not exceed the designated number of words as indicated by the Dealership; provided, however, that essays submitted with more than the designated number of words will not be disqualified (except to the extent that the online entry mode limits number of words/characters), but the Dealership will only be obligated to read and consider up to the designated number of words. Essays need not be truthful. Dealership will not verify the truthfulness of the information submitted in each entry; provided, however, that failure to satisfy (or suggestion that you fail to satisfy) the entry eligibility requirements or other contest rules applicable to this contest can result in disqualification of the Entrant from becoming the Grand Prize Winner, in Dealership’s sole discretion. Dealership reserves the right, but is under no obligation, to edit an Entrant’s essay in any manner that it chooses at Dealership’s sole discretion. For any Contest specifically requiring for Entrants to submit a photograph as part of the entry process, the terms “Photograph”, “Photo”, and/or “Image” may be used interchangeably, and may include, but will not limited to the inclusion of, any image that may be produced by an analog or digital camera, an optical image scanner (or simply, “scanner”), a “screen dump,” “screen capture,” “screenshot,” or “screengrab,” and/or the digital manipulation of one or multiple photographs achieved by the use of image editing software. Photo must be uploaded in either the “.jpeg” or “.jpg” file format (no other formats will be accepted). ONLY THE ENTRANT MAY BE VISIBLE IN THE PHOTO. NO OTHER PERSON MAY BE DEPICTED IN SUCH PHOTO no matter how far away or obscure; provided, however, that Dealership reserves the right to accept Photos that have parts of other people visible that Dealership deems at its sole discretion is not material to the Photo and such persons are completely indistinguishable (e.g., a leg or finger). Further Dealership’s decision in this matter is final and not appealable and Dealership is not obligated to treat every Photo identically (e.g., Dealership may decide that in one photo a leg is not material, but that a leg is in another photo). Any Photo with any other person(s) depicted in it will be ineligible and disqualified, except as otherwise permitted in this subsection. For any Contest specifically requiring for Entrants to submit a video as part of Entry process, ONLY THE ENTRANT MAY BE CAPTURED IN THE VIDEO. NO OTHER PERSON’S IMAGE, VOICE OR TALENT CAN BE CAPTURED IN THE VIDEO (no matter how far away, obscure, or otherwise). Any video with any other person(s) or more than one person captured in it will be ineligible, and will be disqualified. For any Contest that requires Entrant to make (or Tweet) a Social Media Network post with both a unique hashtag and Dealership’s handle, merely posting with the correct hashtag and Dealership’s handle does not constitute a valid entry. Dealership reserves the right to exclude any Twitter post from Contest entry if such post or an entrant fails to comply in any manner with these and all other applicable Contest requirements and rules. For any Contest requiring that Entrants and/or Qualifiers be present at a Dealership event in order to continue participation in a Contest, Entrants hereby agree to strictly follow all instructions and directions given by the Dealership staff at the event and understand that any intentional failure to comply with the Dealership’s instruction, process, procedures or Contest rules at the event may result in immediate disqualification in Dealership’s sole discretion. If check-in or registration at the event is required by Dealership, you must check in, or in some cases be in line to check in, by a certain announced time. Eligibility to participate in the Contest event may require that at check-in each timely arrived participant complete, sign one or more liability release agreement(s, provide his/her social security number, provide evidence of a valid government issued photo identification (i.e., driver’s license, passport, or military ID), and/or other specific requirements announced. Failure to do any of the foregoing at check-in if required will result in automatic disqualification. In the event that any Contest associated event or any Grand Prize Event needs to be rescheduled for any reason, such postponement will be announced on air and on the Dealership’s website. It is the sole responsibility of each Entrant/Qualifier to check the website and/or listen on-air for cancellation and/or rescheduling information. Notwithstanding the foregoing, Dealership may (but is not obligated to) send a written, email or telephonic notice to Entrants/Qualifiers regarding any necessary rescheduling of any Grand Prize Event with the rescheduled date/time but in no event will Dealership or Sponsors have any liability or responsibility for any Entrant’s/Qualifier’s failure to receive the message for any reason. In no event will Dealership or Sponsors have any liability or responsibility for any potential Entrant’s, Entrant’s or Qualifier’s inability to attend any event on the rescheduled date (and no alternative opportunities will be offered). For any Contest that involves voting, regardless of the extent to which voting determines the Qualifier(s), winner(s), and/or grand prize winner(s): (i) except as otherwise announced, voting is for entertainment purposes only and will not be the determining factor in selecting winners, but may at Dealership’s sole discretion be taken into consideration as one of many factors considered by Dealership in determining the winner; (ii) Contest eligibility requirements, including without limitation age and residency requirements, are not applicable to determining whether or not a person may vote in a Contest; (iii) Dealership may, but will not be obligated to, post online the “in process” tally of online and/or texting votes, in intervals determined from time to time by Dealership for each Contest as Dealership sees fit, in which case(s) such posting(s) may be discontinued at any time, will not be real-time, may not be relied upon by Entrants or voters, is solely for entertainment/excitement purposes and is not binding upon Dealership; and (iv) in the event of text voting, Dealership reserves the right at any time to end text voting prior to the announced closing date for text voting, for any reason or for no reason, by providing at least twenty-four (24) hour notice on Dealership’s website that such text voting will end early. Notwithstanding the foregoing, Dealership reserves the right, at its sole discretion, to implement entry/voting processes from time to time that may frustrate or prohibit automated entry or voting (including, without limitation, CAPTCHA, requiring Club membership log ins or Contest/voting registrations, advance email address verification procedures, limiting the number of entries/votes/web hits accepted/counted after a maximum number within a specified period of time as established by Dealership, which numerical/time limits Dealership may decide not to disclose, and/or prohibit any further entries, votes or web traffic from a particular IP address during a particular Contest, period of time or permanently. 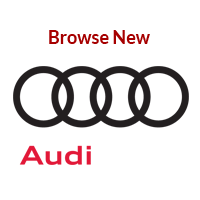 Before or during any Contest, Dealership reserves the right to install and access cookies, alone or along with other methods, to track web site traffic, entry and/or voting frequency, and/or to detect or prohibit automated methods of voting, entry or website visits. Failure to comply with the terms and conditions applicable to Contest entry, including without limitation submitting an incomplete or fraudulent entry, and/or failing to complete the entry process, will result in such Entry being disqualified from such Contest. Any individual(s) that is found to be, or suspected of, tampering with a Contest in any way, including without limitation by making a fraudulent entry, by engaging in any “deal-making” with or between other Contest participants or third parties, by creating a public hazard, by cheating, by engaging in improper or illegal activity, by causing interference with or the destruction of property and/or utilized public safety resources will be disqualified from participating and/or winning any prize(s), as applicable, and may be banned from any future participation in any Contest as determined by Dealership at its sole discretion and on a case-by-case basis. By entering a Contest, Entrants understand that Dealership staff may choose to comment on, mock, poke fun at, and/or mimic any Entrant’s entry and/or performance. Entrants waive any right to make any claim against Dealership or any Contest sponsors with respect to any comments, disparaging or otherwise, made regarding such Entrant and/or his/her entry, entry materials, performance, voice, appearance, participation and/or any other information provided or disclosed to Dealership during the course of a Contest. Further, Entrant acknowledges and agrees that all entries and/or entry materials become the property of the Dealership and will not be acknowledged or returned. Depending upon the type of Contest, the means of entry, and the entry information provided/required, Dealership may contact Entrant(s), Qualifier(s), winner(s), and/or grand prize winner(s) by phone, by email, by text message, by direct message or public post on social media network, and/or in person, as applicable. Dealership will only be required to leave one voicemail message, send one email, send one text message, send one direct message on social media, and/or make one public posting on social media. Dealership reserves the right, but not the obligation, to attempt to contact any Entrant(s), Qualifier(s), winner(s), and/or grand prize winner(s) more than once, at its sole discretion, and will not be required to attempt to contact Entrant(s), Qualifier(s), winner(s), and/or grand prize winner(s) an equal number of times or in the same manner. Dealership will be the sole arbiter in all matters relating to the Contest, including without limitation, Contest entries and in the interpretation of Contest rules. All decisions by Dealership will be final and may not be appealed. Entry into Contests constitutes agreement by Entrants to abide by these rules, as well as any other rules established by Dealership. Prize(s) will be released to winners only. Prizes will not be mailed, unless otherwise determined by the Dealership, at its sole discretion. All prizes awarded must be picked up at the Dealership during normal business hours (as described above), unless otherwise specifically directed by Dealership. Prizes not claimed within thirty (30) business days of being advised by Dealership that the prize is available for pick-up, or in the case of a time sensitive prize within its period of usability if shorter than 30 business days, will be considered forfeited without notice to the winner, and will become property of Dealership. Such prize may be disposed of at the discretion of Dealership Management. Notwithstanding anything to the contrary herein, stated on air, or published online, no potential winner of any Contest will be entitled to receive any prize until the Dealership has verified such potential winner’s Contest eligibility and compliance with the Contest rules and until such potential winner has completed and submitted all documents required by Dealership. In order to receive any prize, a Winners may be required to present a valid government issued photo ID, to provide a valid social security number, and/or to provide or complete and sign any other documents required by the Dealership, including without limitation, one or more liability release agreements relieving the Dealership, its parent and affiliates and their respective officers, directors, members, managers, employees, agents, Contest sponsors and others from any and all liability with respect to the Entrant’s participation in the Contest and the receipt and/or use of the prize. Any person who refuses to present a valid government issued photo ID, to provide a valid social security number, and/or to provide or complete and sign any other documents required by the Dealership by the deadline required by Dealership will forfeit any and all prizes. Dealership reserves the right to examine identification and may reasonably choose to accept or deny awarding the prize based on the identification presented. In the event that any Entrant(s), Qualifier(s), winner(s) and/or grand prize winner(s), as applicable, is disqualified from a Contest for any reason permitted by the applicable Contest rules at any point in time (before or after a winner is determined): (i) Dealership and/or Sponsor(s) will in no way be obligated to notify any such individual(s) of such disqualification or forfeiture, (ii) Dealership will NOT be obligated to select an alternative Qualifier, winner, and/or grand prize winner, as applicable, and may instead elect to retain any associated prize(s) as its own property and/or dispose of any such prize(s) in any way it sees fit outside of, or within, the scope of the Contest. Any prize involving travel, including without limitation prizes consisting in whole or in part of overnight accommodations and/or travel by air, rail, ship, or motor coach, will be based upon availability and subject to additional terms and restrictions imposed by Dealership, Contest sponsors, and/or other agents participating in the Contest and/or fulfillment of the prize, including without limitation blackout dates, peak period restrictions, expiration dates, and/or additional age restrictions imposed upon the winner and/or the winner’s guest(s). These restrictions are not subject to negotiation. Winner’s guests may be required to sign one or more liability release agreements before being authorized by Dealership or its sponsor to be allowed to participate as winner’s guest on a trip. In addition, such winners and guest(s) are required to travel on the same itinerary, to which changes may not be made once booked, and are solely responsible for obtaining any international travel documents, visas or passports that may be required. Reservations are non-transferable and once booked and confirmed may not be rescheduled. Overnight accommodations will consist only of standard double occupancy accommodations, and winner will be solely responsible for all ground transportation, for the purchase of any items of a purely personal nature, for the payment of any incidental expenses, and for the payment of any taxes, charges, and/or fees. Winners may be required to provide a valid credit card to check into the hotel and to cover incidental expenses. Air travel will consist only of round trip coach air transportation to/from a commercial airport in/near the destination city from/to a commercial airport in the greater metropolitan area in which the Dealership is located, and the winner will be solely responsible for all ground transportation and for the pre-payment of any applicable taxes or airport, baggage, or government fees or charges. Any prize that consists of an opportunity to meet with, participate in an activity with, interview or have similar interaction with any celebrity (other than employees of Dealership) is contingent upon the celebrity appearing for such activity/event, which is beyond the Dealership’s control. Dealership is not responsible if a winner and/or his/her guests are unable to meet such celebrity or participate in the associated activity if the celebrity determines this is not allowable for any reason or fails to appear/participate for any reason, including without limitation any illness, act of god, scheduling conflict or any other reason, Dealership is not responsible for such portion of the prize, which has no monetary value, and no alternate prize will be awarded and the event/activity will not be rescheduled. 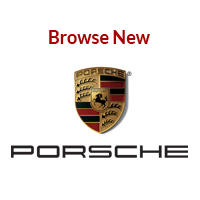 In the event that Dealership elects, at its sole discretion, to attempt to reschedule any such event/activity or offer an alternative prize, Dealership will have no obligation whatsoever to offer any other alternate prize if such attempt to reschedule or other offer is not accepted by or utilized by winner for any reason whatsoever. Any prize involving the award of cash will be fulfilled in the form of a company check payable to the verified winner only and made available six (6) to eight (8) weeks from the date upon which the winner completes and submits all documents required by Dealership. Dealership and Sponsors are not responsible for replacing or reimbursing winners with any form of compensation for flights or events that are canceled, rescheduled or delayed. All cancellations are deemed beyond the control of Dealership and its sponsors. This includes, but is not limited to, event cancellations, trip schedule changes, flight cancellations, changes in travel arrangements, travel delays of any form and duration, as well as all delays or cancellations due to acts of nature, terrorism (including threats), illness or war. Additionally, Dealership is not responsible for any work stoppage, bankruptcy or other condition beyond Dealership’s control that may affect Dealership’s ability to provide any of the prizes. Dealership is not responsible for any expenses incurred by Contest winners as a result of such cancellations, delays or other circumstances beyond Dealership’s control. Except by the Dealership, which reserves the right to substitute a prize or prize portion with another prize or prize portion of greater or equal value, prize(s) may not be redeemed for cash, substituted, transferred or assigned, except as may be determined by Dealership at its sole and absolute discretion on a case-by-case basis. Winners are prohibited from selling any prize awarded or transferring any prize without Dealership’s authorization, which authorization must be in writing by a Dealership representative and will be granted or withheld in Dealership’s sole discretion on a case by case basis. 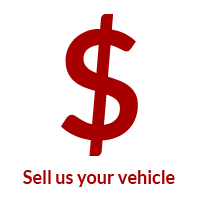 In the event that Dealership discovers or suspects (correctly or incorrectly) that a winner is attempting to sell his/her prize from Dealership (i.e., eBay, Craigslist, StubHub, or otherwise), Dealership reserves the right, at its sole discretion, on a case by case basis to take any one or more of the following actions: (a) immediately disqualify the winner and deem any prize they were otherwise entitled to as forfeited; (b) refuse to award the prize to such winner, even if he/she represents that they will not resell or transfer the prize; and/or (c) prohibit the violating winner from participating and/or winning any future Contests, whether for a fixed period of time or in perpetuity, in Dealership’s sole discretion, and if such winner ever wins a future Contest during the period that he/she is banned, he/she will be disqualified from the Contest and forfeit any prize once it has come to Dealership’s attention. Further, Dealership reserves the right to track and/or cancel and invalidate any prize awarded that Dealership suspects was sold or transferred without authorization. Winners are responsible for paying all applicable local, county, state and federal taxes on prizes based on the estimated retail value of the prize, as set forth in the Contest rules, and may be issued an IRS Form-1099 for all prizes won from Dealership in any calendar year where the aggregate value of all such prizes is $600 or more. Contests are subject to all applicable laws and regulations, and are void where prohibited. Odds of winning depend upon the how the Contest is conducted. For random drawings, the odds of winning will depend upon the number of entries received. For contests in which winners are qualified for a random drawing to determine the grand prize winner, odds will depend on the total number of Qualifiers. For contests of skill that do not involve any element of chance, odds of winning are not applicable. All tie breaking procedures will be published on the Dealership’s website and/or communicated by email to tied contest Entrants. Dealership may or may not respond to inquiries by Entrants or potential Entrants regarding the status of their entry and/or to questions about a Contest, regardless of the means by which such inquiry is made, and Dealership is not obligated to respond to, or to treat, all such inquiries identically (even if the question is identical). Time considerations and/or volume, among other things, may impact a Dealership’s desire or ability to respond to such inquiries from time to time. Notwithstanding anything that may be communicated by any Dealership employee in connection with any such inquiry, the sole determining source for information related to a particular Contest will be the rules for such particular Contest, and any information communicated by Dealership employee(s) will neither be binding on the Dealership nor be deemed to be providing any type of improper assistance or advantage to any particular Entrant over another. Any attempt by Dealership to respond to an inquiry will be in the context of providing good customer service only and, in some instances, to address technical issues/problems. Participation in a Contest and/or acceptance of prize(s) constitutes consent by Entrant and/or winner’s (and by winner’s guest(s) if applicable) for the Dealership or its agents (i) to interview the Entrant and/or winner(s) (and winner’s guest(s), if applicable), (ii) to photograph, film, and record (audio and/or video) Entrant and/or winner(s) (and winner’s guest(s), if applicable), and (iii) to use in commerce and in any medium now or hereafter known throughout the world in perpetuity and without payment of any compensation or additional consideration: his/her name, hometown (city and state), biographic information, likeness, photograph, audio or video recording, Entry Materials, prize information (if any), and/or any statements made by him/her regarding the Dealership, the Promotion, and/or its sponsor(s) for purposes of trade, publicity, or promotion without notice or additional compensation, notification, or permission, except where prohibited by law. Participation in a Contest and/or acceptance of prize(s) constitutes agreement by Entrant and/or winner (and by winner’s guest(s) if applicable) release, forever discharge, indemnify, and hold harmless Dealership, its affiliates, parents, assigns, successors, employees, participating Sponsors, agents and all others connected with them and the promotion, Contest, and/or event (the “Released Parties”) from any and all liability, claims, actions, and damages sustained or incurred by participation in the said promotion, Contest, and/or event and the receipt and use of any prize(s) awarded (if any) through such promotion, Contest, and/or event arising in any manner whatsoever, including but not limited to an act or omission, whether negligent, intentional or otherwise caused by Dealership, its affiliates, parents, assigns, successors, employees, sponsors, agents and all others connected with them and the promotion, Contest, and/or event. In the event that the associated Contest is administered by Dealership (in whole or in part) via a Facebook page, Entrants understand and agree that the foregoing liability release and indemnification in this Section 20 will also include the release and indemnification of Facebook by Entrant in the same manner in which Dealership is released and indemnified. If for any reason a Contest cannot be executed as planned, including but not limited to, as a result of infection by computer virus, tampering, unauthorized intervention, fraud, technical failures, or any other causes beyond the control of the Released Parties that may corrupt or affect the security, administration, fairness, integrity or proper conduct of the Contest, or if the Contest is compromised or becomes technically corrupted in any way, electronically or otherwise, the Dealership reserves the right to cancel, terminate, suspend, and/or modify the Contest without prior notice. If the Contest is terminated before the original end date, the Dealership reserves the right, in its sole discretion to, to modify the procedure for selecting winners, unless the nature of the event giving rise to such termination renders it impossible to select winner(s). Winner List(s): For a list of winners for a particular Contest, mail a self-addressed stamped envelope to the Dealership’s address (see page one of these rules) identifying the name of the particular Contest for which you would like to receive a winner’s list. All requests for winner lists must be mailed and received by the Dealership after the Contest is over but prior to three (3) months after the Contest has been concluded.